When young magicians Carter and Sadie Kane learned how to follow the path of the Ancient Egyptian gods, they knew they would have to play an important role in restoring Ma’at (order) to the world. What they didn’t know is how chaotic the world would become. The Chaos snake Apophis is loose and threatening to destroy the Earth in three days’ time. The magicians are divided. The gods are disappearing, and those who remain are weak. Walt, one of Carter and Sadie’s most gifted initiates, is doomed and can already feel his life force ebbing. Zia is too busy babysitting the senile sun god, Ra, to be of much help. What are a couple of teenagers and a handful of young trainees to do? 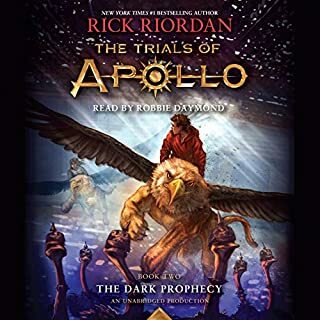 There is possibly one way to stop Apophis, but it is so difficult that it might cost Carter and Sadie their lives, if it even works at all. It involves trusting the ghost of a psychopathic magician not to betray them, or worse, kill them. They’d have to be crazy to try it. Well, call them crazy! With hilarious asides, memorable monsters, and an ever-changing crew of friends and foes, the excitement never lets up in The Serpent’s Shadow, a thoroughly entertaining and satisfying conclusion to the Kane Chronicles. 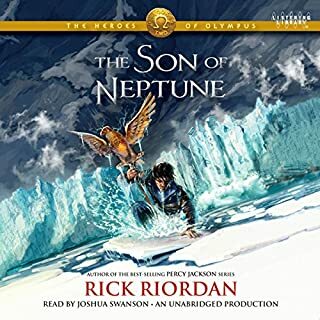 ©2012 Rick Riordan (P)2012 Brilliance Audio, Inc. Truly a great ending to the Kane introduction. 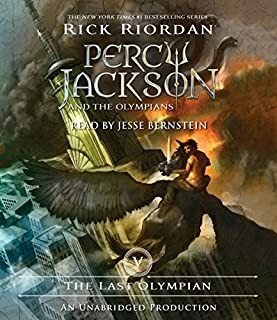 I would advise all who enjoyed this to read the cross-over short stories The Son of Sobak, Percy Jackson/Carter Kane; The Staff of Serapis, Annabeth Chase/Sadie Kane; and The Crown of Plymoty, which ties an ending to the story of Setna and starts an interesting take on Egyptian magicians and Greek Demigods. 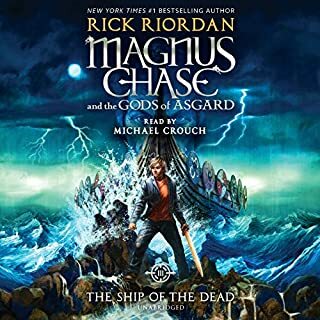 Rick Riordan has been writing wonderful stories integrating the myths of gods for some time now and his Kane Chronicles trilogy is a great story using the Egyptian gods and the Chaos they can bring to the modern world. 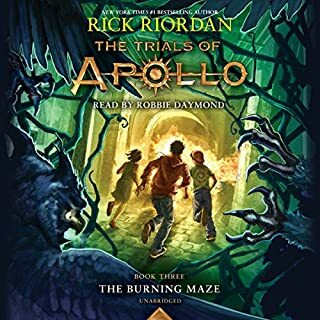 This final story in the trilogy wraps up the adventures of Sadie and Carter Kane in a very satisfying way, yet clearly allows for future stories that may well even expand into some of the other territory Riordan has already mapped out. 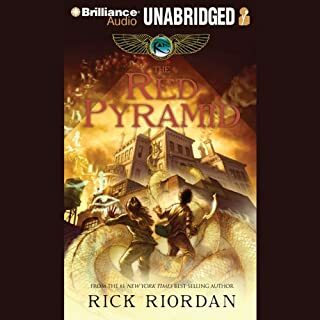 This story includes all the fun elements of the previous two books--Egyptian gods, Carter and Sadie squabbling and fighting foes together, adventure, danger, exploding objects and places, a little romance, and a premise with such high stakes that the whole world is threatened. And only Carter and Sadie and their band of magicians can save the day, with lots of trials, adventures, and help along the way. 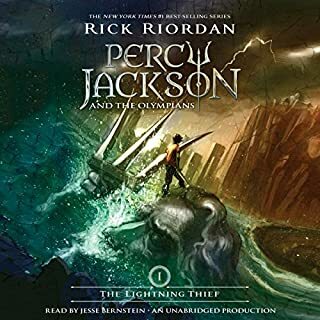 Riordan has crafted a tale that obviously appeals to kids and teens, but it's clever and funny enough to keep adults interested and entertained as well. 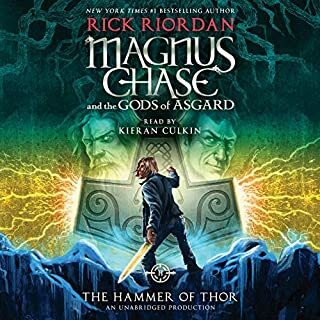 The two narrators, Kellgren and Free, continue their tag-team narration and do a splendid job. My personal favorite is Kevin R. Free, who voices Carter and the other characters (except for Sadie) wonderfully. Katherine Kellgren does a great job too, but her Sadie is sometimes too whiney and overbearing--just like the character in the book, come to think of it. 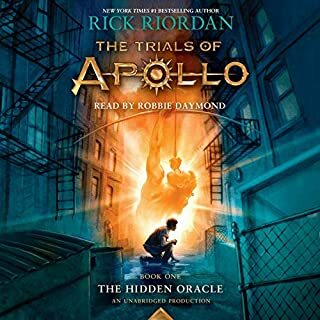 Together, these two narrators bring the story to life and add a great deal to the overall experience, just as the best audiobook narration should. 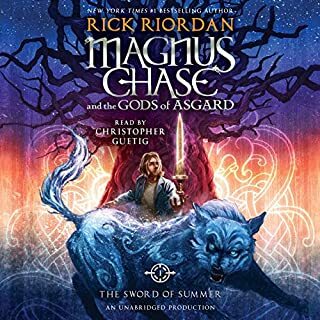 While this book wraps up the Chronicles very well, I'll be eager for any more adventures of the Kanes and/or the other magicians readying themselves for future adventures. You need to read it. The story line is geart, I will said read them on. Very well done another great book love the hole series would recommend reading first 2 books before reading this book. The story, and performance were awesome! 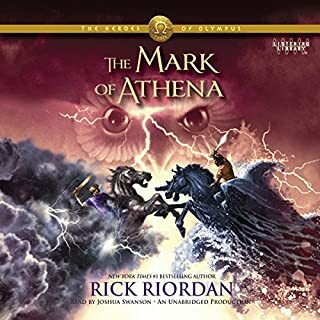 My son is 11 and we love these books. 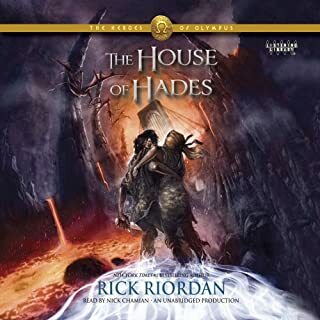 loved this series the way that the two main characters trade the telling of the tale between each other with asides to each other make the listening more enjoyable. The story of Egypt and their Gods is engrossing and exciting. following the Kane family through the story is engrossing and thrilling. 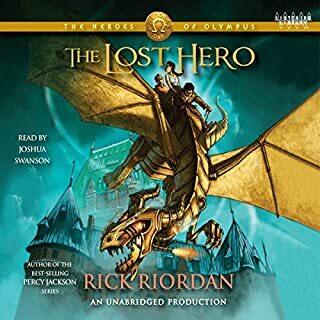 the author keeps the listener invested in the story as well. 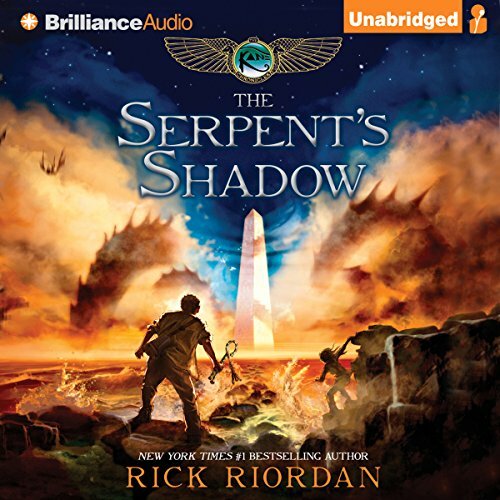 Would you consider the audio edition of The Serpent's Shadow: The Kane Chronicles, Book 3 to be better than the print version? 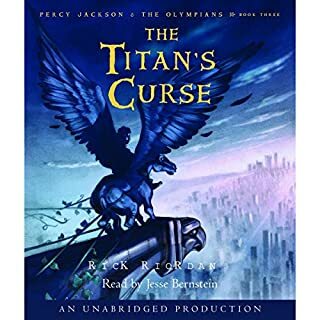 While I greatly enjoy audio books, I feel that they are not a replacement for the print version of books. They do, however, add another perspective to a great story. When properly narrated, the listener can enjoy a different view of the same tale. This performance is a perfect example of that. 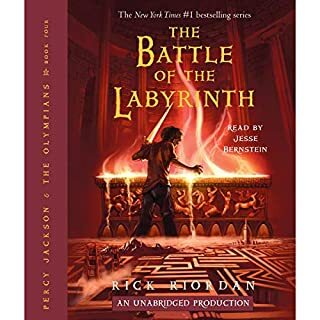 I have read, and now listened to, all three titles in this series. 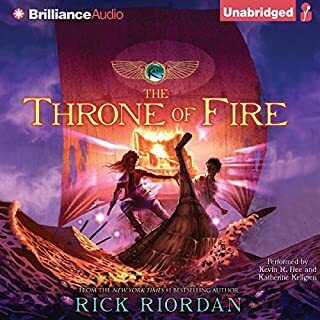 The narrators' interpretations of the banter between the Kane children through emphasis and inflection was different than my own, yet seemed to add to my enjoyment of the story. What about Katherine Kellgren and Kevin R. Free ’s performance did you like? 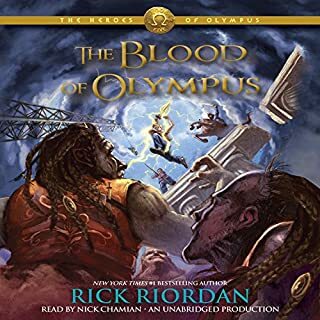 The narrators' interpretations of the characters through tone, inflection, and emphasis really helped to bring the story to life for me. Each also did a wonderful job of portraying the other characters in such a way as to clearly delineate the separate individuals without causing a continuity problem between the sections read by different narrators. 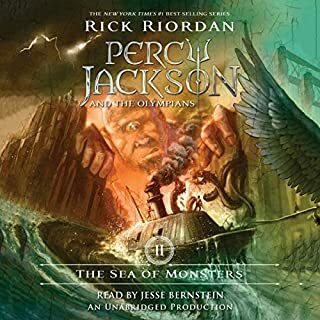 Other productions I have listened to with two voices narrating can often cause confusion when a secondary character is narrated differently by the two narrators. These two worked together perfectly, providing continuity of the different characters and adding energy and vitality to the story. This story is very well written and narrated. I would recommend this production to listeners of any age. My 7 yeat old son and I went through this non-stop! It was accessible for him, yet super fun for me to listen to.